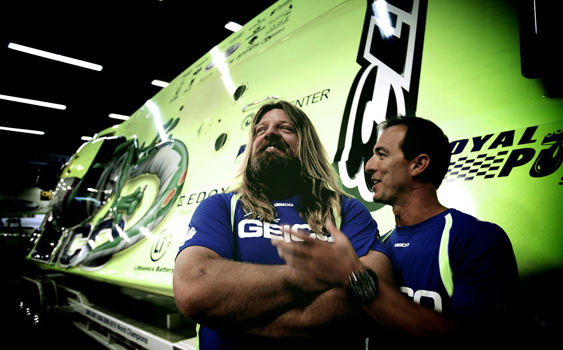 Several weeks ago, I wrote about the resurgence of the Miss GEICO Racing team in St. Clair, Mich., after its heralded turbine-powered Mystic Powerboats catamaran caught fire and was destroyed during testing in Sarasota, Fla., just a month before the team ran its “new” boat on the St. Clair River. The fact that an offshore race team bounced back like it did was inspirational—it was definitely a testament to the team’s dedication to competing. This may be insignificant to some, but recently I was blown away with how timely Royal Purple was with its third and final installment of the company’s 2012 mini-documentary series, Outperformer. 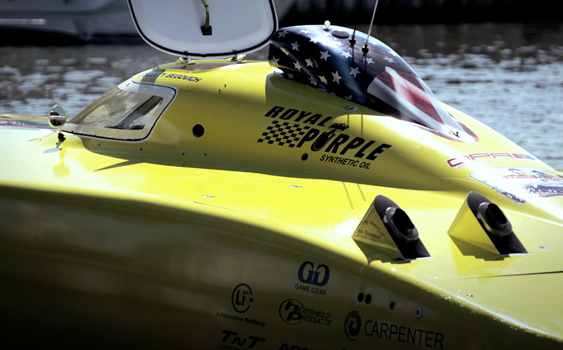 One of the team’s primary sponsors, Royal Purple launched a five-minute video yesterday on the world champion race team, which is hailed as one of the fastest and most successful offshore powerboat teams in the world thanks to a continued loyal supporter, GEICO Insurance. The video follows a pair of mini-documentaries on Royal Purple affiliates, including NASCAR prodigy Dylan Kwasniewski and Roland Sands, a motorcycle racer, designer, and builder. Based in Porter, Texas, the synthetic oil company stated that the latest video of Miss GEICO features everything from the “off-season duties that include 14-hour work days preparing the boat for competition, to the steely determination and focus required on race day from both pilot and crew.” But more than that, the well edited, beautifully shot and impactful video really showcased the ups and downs the team has gone through this summer. In less than five minutes, the vignette offers an intense and genuine look at the team’s business-like approach to the sport. When I interviewed Miss GEICO driver Marc Granet after the race in St. Clair, he told me about the crew that was in tow for a commercial shoot (click here to read the story). But to see that edited and cut into a video and on the company’s website, not to mention air as a national commercial, in a few short weeks is pretty impressive. I appreciated the emotion in Granet’s and throttleman Scott Begovich’s faces as they scanned the wreckage from the fire in Sarasota. Yet even more memorable were the roaring sounds of the boat in action and the close-ups of its powerful components. 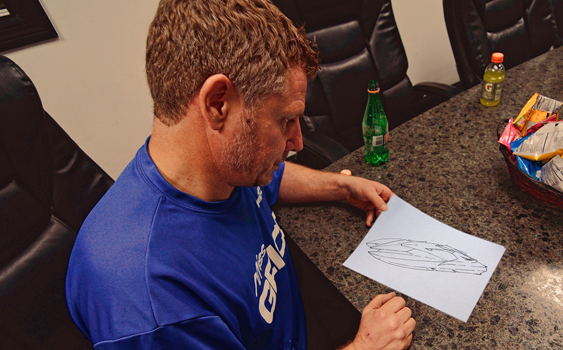 Gary Goodell, Miss GEICO Racing’s director of marketing, was excited about the documentary’s debut and gave a lot of credit to the creative production crew at ChopShop, which worked with Royal Purple on all three Outperformer documentaries. “Royal Purple’s dedication to the Miss GEICO team is very important to us,” Goodell said in an interview Tuesday afternoon. “It’s great to see a company taking advantage of where we go and what we do. We’re in front of millions and millions of people constantly. It’s not just racing. It’s air shows, boat shows, charity events and much more. And for many reasons, I believe Mr. Goodell. NOTE: The original link to the video was broken. We’ve updated it in the story and here it is as well.